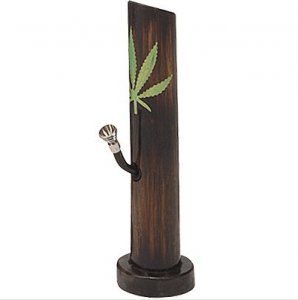 Whether you are in the market for an inexpensive mini bong or just looking for something with ornamental appeal, the bamboo bong is a great choice for the veteran or beginner weed smoker. These uncommon and unique bongs are extremely functional, and they appeal to many because of the fresh cut wood smell. The bamboo bongs are sanded down and varnished so they can be smooth to the touch and extremely durable against the extreme heat generated from sparking up your herb. Many weed smokers prefer the bamboo bongs because they provide a more natural taste when smoking. Although these bongs certainly look great and function perfectly, their biggest appeal is their durability. These indestructible pipes will last a lifetime, and cleaning them is actually a breeze. The metal or glass bowls are designed to work perfectly with the bong, and although the exterior is durable, you can even carve your name or initials right into the outside of the pipe itself. Historically this material can last for decades if properly cared for, a permanent fixture in any weed smokers arsenal. Just like most other bongs, the appeal is in the way you pack and smoke your fresh herbs. Basically fill the bamboo with a few inches of water, high enough to allow the pipe to be submerged. Drop some gauze into your bowl and then pack in your weed. Bamboo is typically one of the strongest natural materials, and you will have absolutely zero concerns when you pass it around at your next party. When it is your turn to take that fat rip, hold the bamboo bong firmly with one hand as your thumb covers the rear hole, then light your herb with the other hand. 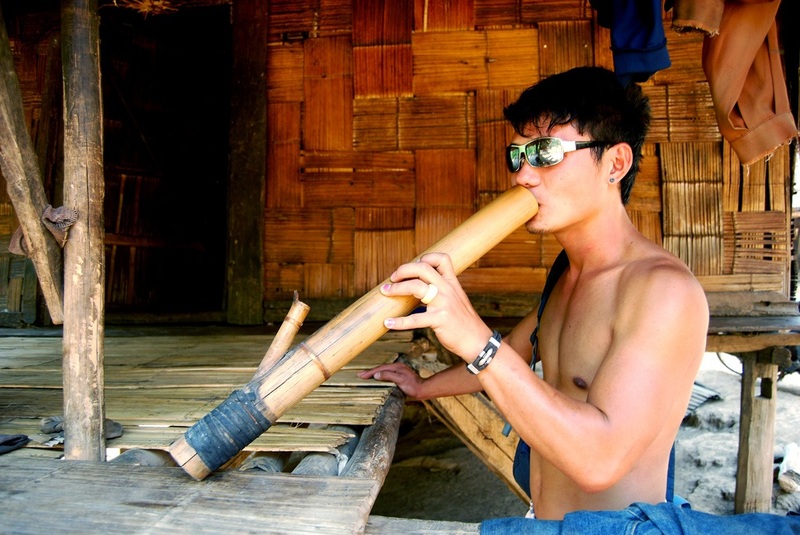 Once the weed begins to burn, put your mouth over the top of the bamboo bong and rip away. The smoke travels to your moth through a metal pipe and the cool water. Add in some ice cubes to allow even cooler smoke to reach your throat and lungs. Making your own bamboo bong from scratch is easier than you might imagine. The end result is a skillfully crafted piece of art that will fill your mouth with the smoke of your herb and give you pride in knowing you built your bong with your own two hands. 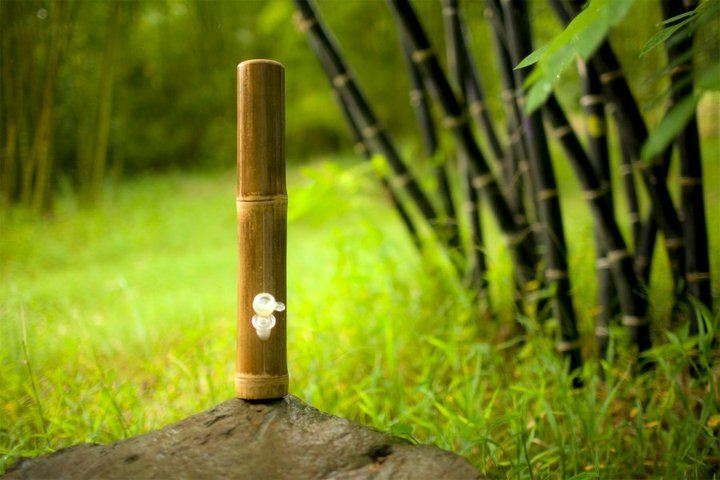 Here is everything that you need to construct your very own bamboo bong. To build your bamboo bong, you will need to visit your local home or garden center and purchase a few feet of bamboo. The tools you will need consist of a drill, drill bits, spade drill, wood saw, painters tape, vice grip, beeswax, sandpaper, and varnish. Determine how tall you want your bamboo bong, then use painters tape to cover the bamboo you want to cut to avoid splinters. Determine how many of the natural bamboo nodes you want in your pipe, then cut accordingly. Cutting a few inches below the last node appeals to aesthetics. If you have several nodes in the bamboo, you need to drill holes to separate the mouth of your bong from where you will be storing the water. Use a 15/16 inch hole saw bit, a spade bit works just as well. Determine where you want the downstem, wrap painters tape around that location to prevent cracking and give the bit something to bite into. Wrap the bamboo in a towel and gently tighten in a vice. Begin slowly drilling into the bamboo. Use a rough piece of sandpaper to sand any rough edges. Sand the lip of the bong to prevent splintering during use and so it fits smoothly to your mouth. Sand the downstem hole by wrapping the sandpaper around a pencil and moving in and out of the hole. Use the beeswax to secure the stem to the bong. One alternative is to use Sagru to seal the stem because once it begins to harden you can shape it. Once dried, you have the ability to remove the stem to clean it. Allow curing for at least 12 hours. The preferred method here is to seal the inside of the bamboo bong with beeswax to prevent any bamboo splinters over time from getting sucked up the pipe. If you store the bong with water inside, the beeswax keeps the bamboo sealed. Liquid beeswax is use, pour inside the pipe and roll it around so it covers the entire interior surface. Allow the wax to cool for an hour, remove any dried wax from the downstem hole. Once the entire inside of the bong is dry, place the bowl and downstem into the side of the bamboo. At this point, you can carve your name or initials into the bamboo or decorate any way you choose. Congratulations, your bamboo bong is ready for use! So now you know how to build your own bamboo bong, what the appeal of these bongs are, and that they are some of the most durable in the industry. These particular bongs not only are fully functional, they are very appealing to the eye. This bong will certainly stand out in a crowd or instantly become the focal point of your water pipe collection. Pokemon Bong – Is This Your New Favorite Bong?